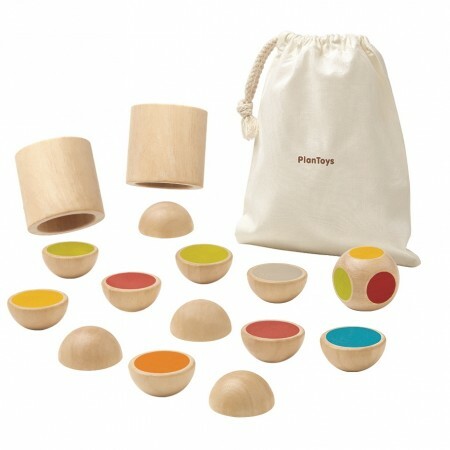 This wooden activity game is a fantastic eco toy for children to enjoy on their own or with a friend. Place the counters colour side down and put a wooden cup over them and shake until the counter flips and the colour is revealed. Use the colour dice to select which counters to aim for and play with a friend or sibling to see who can get the most coloured counters. This wooden game is a great way to encourage friendly competition and a sense of fair play, and playing with it will hone gross motor skills and coordination. This is a fun family game that's perfect for taking out on games night and wet afternoons. This toy includes twelve counters, two cups, a colour dice and handy storage bag. 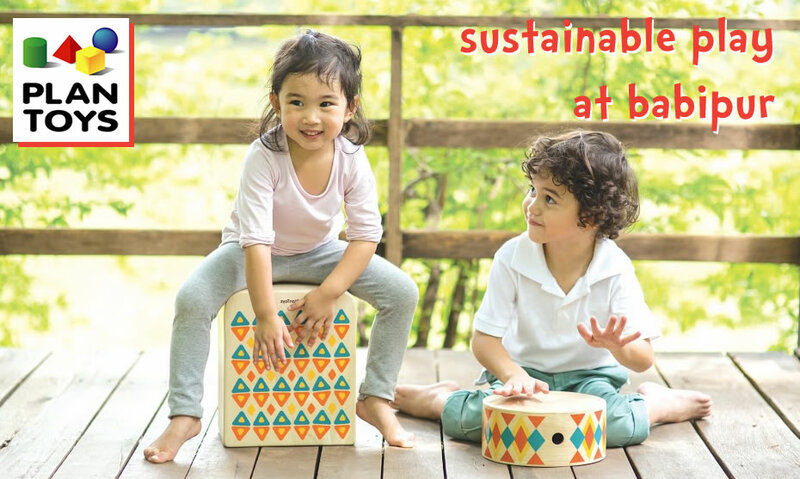 Ethically made from solid, sustainable rubberwood, this fair trade toy will be a hit with children and green parents too. This toy is suitable from age 3. Warning: not suitable for children under 3 due to small parts. The box measures 19cm x 19cm x 6cm. The cups are 5.3cm tall.